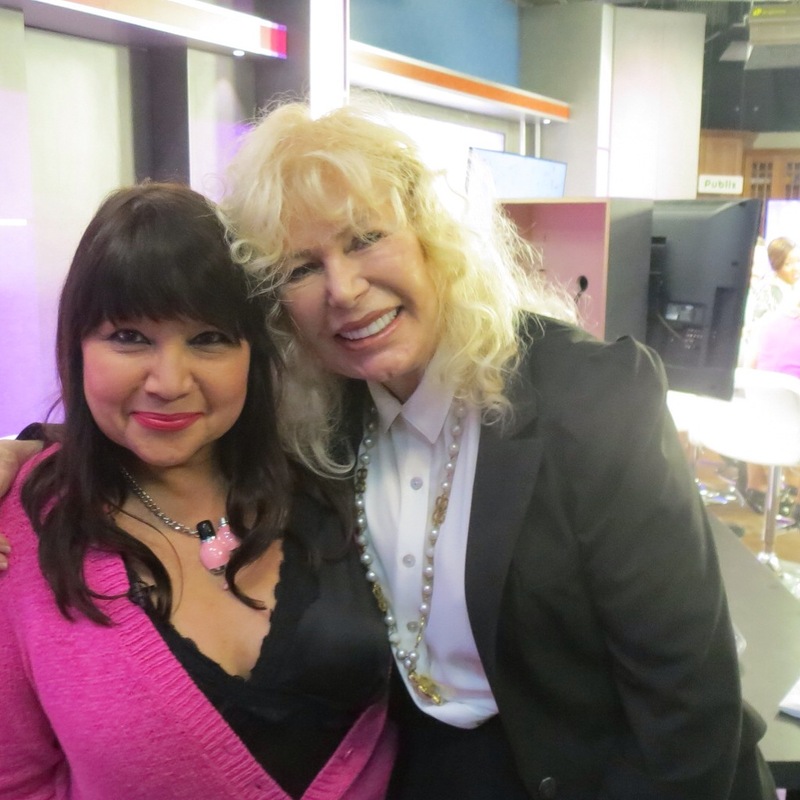 Blast from the MASH TV past …Loretta Swit AKA Hot Lips Houlihan! Where did the week go? I don’t want a another minute to go by without mentioning this. This week on TV I shared some natural and organic tips on being kind to your feet. Who was there at the station too? The one and only Hot Lips Houlihan! Actress Loretta Swit. We chatted Polish yes she is Polish like I am and we chatted beauty,food and health. It was a cozy quick chat before she was interviewed on The Chat TV show on NBC12 and ABC25. Her secret to a beautiful healthy life is being a Vegan.She also shared she uses Dr.Perricone MD skin care line. I was tickled pink to meet her! As readers of my blog you know my mom was a big fan of hers and that TV show. Loretta Swit is town in Florida for an event she is doing for her love of animals. St. Augustine Florida is where it will be this weekend. She was a lovely lady. Every time I see reruns of Mash on TV …my heart smiles for my mom! Today I saw a client I had not seen in a year or more. She is in her late 70’s.I was happy she called as I had not had the pleasure of seeing her vibrant personality and enjoy conversations with her. She booked an appointment for to update her look with a makeup lesson and to replenish her beauty supplies. Oh my gosh…right before my eyes in 3-D and technicolor she LOOKED amazing! Now,she truly looked 15 years younger. I did not ask her what she had done but she bubbled over with it as if she had a glass of champagne delight. She told me she had what I see on TV almost every hour. Know what it is? Paid spokesperson Debby Boone and the new face procedure. She did NOT look like she had surgery,she looked well rested and was so drunk in happiness! She bragged about the doctors,told me step-by-step process and the TLC CARE she received. I was amazed. Now, I simply had to share with you. I wondered what is that Lifestyle Lift the infomercials talk about and now I know. I am THRILLED for my clients who might want to know this. If you want a face lift…I’d say they are worth looking into and getting a consult with too.No I am NOT their paid spokesperson,nor being paid to say these words. Other ways to give your face and eyes a lift?Smile, wear a gorgeous lipstick,add a touch of shimmer lotion to the top of your cheekbones before blush and add some shimmer to your brow bone too.Get your brows designed by a professional they are true designers to give your eyes a lift. Lastly, attitude is everything…keep yours pretty positive.